You must make reservations at least 5 minutes in advance of the time at Vito's Restaurant & Lounge. Dinner: Daily: 4:00PM - 10:00PM. Vito’s is an iconic 21 and over restaurant and lounge located on First Hill. Opened in 1953, it has a history rich in cocktail culture, organized crime and east coast, family style Italian food. In April of 2010, Jeff Scott and Greg Lundgren purchased this Seattle institution and began a major restoration of the space. Their goal is to return Vito’s to the glamor and style of the 1950s, respect its colorful past and set the course for a 21st-century resurrection. Over the years the club has fallen into disrepair and poor alterations. 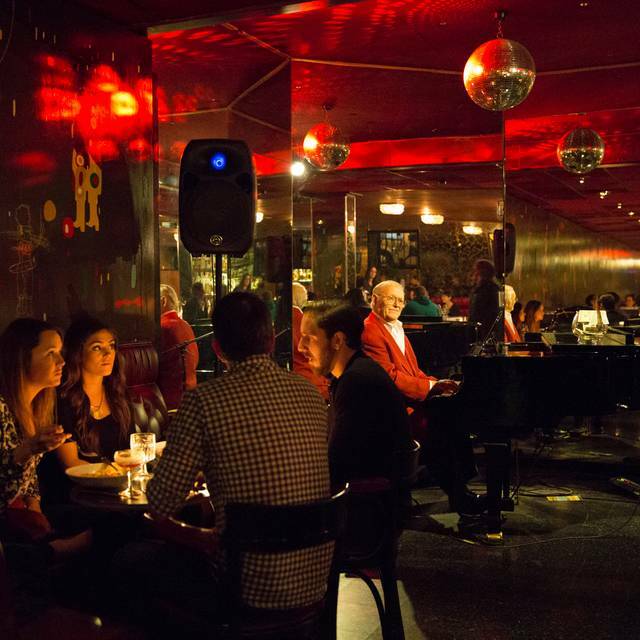 They have replaced the dance floor with a performance space centered around a grand piano, with lounge singers, jazz trios and Lynchian curiosities that will dazzle and entertain into the early morning. A typical Capitol Hill crowd of mixed professionals enjoy good Italian cuisine with good music and ambiance. The margarita pizza appetizer was awesome and the chicken parmesan was very good. Plenty of food. The drinks were good, the scotch pour was a little small, but overall everything was great. This was a really good place to meet friends and have dinner, and enjoy some good jazz along the way. I'll certainly be back to try the rest of the menu! Enjoyed the experience. Only commemt on food is the house salad seemed to need more flavor or dressing, otherwise food was good and enjoyed the 50's mobster ambiance. I love this place! Excellent drinks. Good value happy Hour. The ambiance is amazing! Family Italian food minus the family. Not gourmet, old standbys that satisfy. A really good value for Downtown Seattle, white table cloths and all. Disappointing. The food is still quite good but the ambiance is gone except for the piano player. Staff is dressed very casually and behaves as though they are serving in a mediocre chain restaurant. Lasagna was very good but the salad seemed a little wilted. Overall Vito's is no longer special. Even the entrance looks tired and a little sketchy. Never change Vito's! Your one of a kind and so authentic! Thank you for providing such outstanding entertainment. Your the Best! Wonderful - A real classic! We had a great time and will be back. Love this place! If you haven’t been. It’s a must! Excellent scallops!!! Good menu with excellent service and nice atmosphere. Great great service and food! Out of town on business and so glad I decided to try Vito’s. Service was excellent. My waitress made some perfect recommendations and the chicken Parm was out of this world. Loved it! Perfect evening with friends! Staff was attentive, awesome piano music, and food was everything that we hoped it would be. Great time here with my wife after attending A Paint Nite event nearby. Awesome service, great food, and a very romantic ambiance! My wife and I have eaten here several times. We go because we like the food. The restaurant is a dark, neighborhood kind of place, the décor is a throwback to the -50s. The lasagna is excellent, as is the tenderloin, as is the prawns davolo, the grilled Caesar with a generous portion of white anchovies and so on. Parking can be difficult, I recommend walking from where you are staying or taking a taxi, I am sure we will be dining there again. Pasta with shrimp, sausage and vodka sauce was incredible! Best tiramisu of my life! Great atmosphere with great food. This was a great place. Our server was super professional and the food was excellent. We would go there again. Food amazing, live music amazing, price amazing, service TERRIBLE. I reserved a table for my boyfriends birthday (he’s 22 I’m 21) and it was meant to be a special night. Our waitress came to take our order within a minute of sitting down, came back again in 2 minutes to take it again, and we never saw her again. She completely ignored us as we saw her chat, laugh, and serve the table right next to us filled with older gentleman. It was very clear she didn’t expect us to tip well because of our age, and chose to flirt and serve the table with older (seemingly richer) men next to us. She ignored us the entire night, never asking us how the food was or ever returning. Our waters were refilled and our leftover food was boxed by different servers. It was extremely disheartening to see her excellently serve the table next to us with older men but blatantly ignore us. I still tipped her well despite her immature and disgusting attitude. We didn’t mind being the youngest people in the restaurant but being treated like lesser guests and people because of our young age was disappointing and we will not return again. Go, man. Just go. If you don't, you basically have zero fun in your life. We LOVE Vito's. 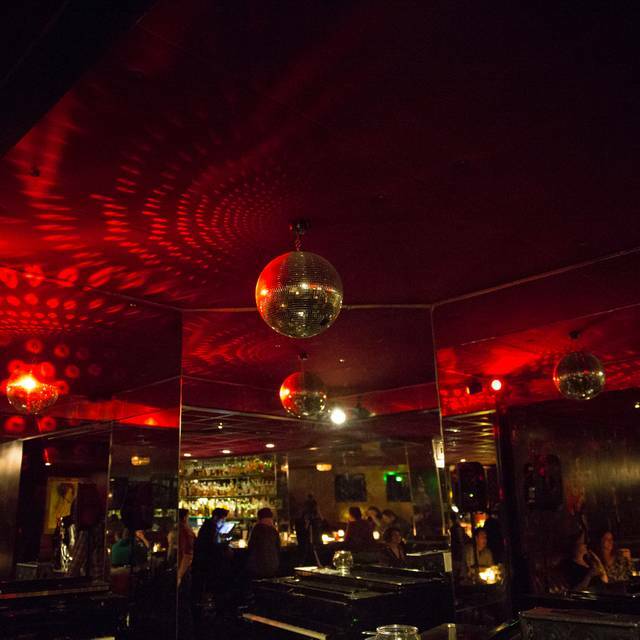 We live in San Francisco and have visited Seattle twice in the past 2 months - and have been to Vito's 3 times for the music, the food, the vibe. This is a no cover music venue with excellent local jazz piano and vocals - 2 sets most nights. Everything we've ordered from the cocktails to dessert has been wonderful. The lasagna is so worth the calories, as are the cannoli. And I have to mention the great wait staff - friendly, efficient, knowledgeable, just the right amount of attentive. Note that if you are going for a formal concert, this is not the place - patrons are allowed to talk while music is being performed but that is cool and the musicians are in on it. A 10 out of 10. Called first to see if the restaurant was decorated festive, was told it was. Was not, not a twinkle light in sight, only a pitiful Santa Clause figure at the front desk. Banquette seats were not true banquette seats. Upholstered back but no bench seat, chairs instead, very weird and a bit dangerous in a very dark restaurant. Ordered drinks and an appetizer. Drinks came but no appetizer. Salads finally came, inquired about the app, "Oh so sorry, I did not hear that." Skipped the appetizer because now the timing was off for the whole meal. Caesar salad was pitiful. I know about the lettuce crisis but certainly a more imaginative spin could have been used other than a wedge of head lettuce. Ordered the Chicken Marsala and the short ribs all very good. At the end of the meal ordered two cups of coffee. One cup was brought as they had run out of coffee and had to make another pot. The cup that was brought was clearly very old and bitter. It would have been much better just to let us know they were out and brought us two fresh cups. The music was terrific. Thanks. What a great place. A trip back to something more like an Italian neighborhood supper club, stuffed with interesting characters around the bar and accompanied by live music. The cocktails and lasagna were tops. And it's just a hoot. Wear your velvet jacket and have fun. Overall one of our favorites. This particular evening service was a little less than stellar. We waited too long to have our orders taken but once taken food was served pretty quickly. The bacon that was supposed to be on the side of the wedge salad was all over the food much to the chagrin of the family vegetarian. Our waitress finally realized the mistake and brought the correct order lickety-split. Food was very good as always except for the cannoli shells which were like mortar. I’ve had cannoli before and the shells broke easily but I will say I’m not an expert on the dessert so maybe they’re supposed to be hard as a rock? They remembered the candle for our daughter’s dessert so big points there. Tiramisu was very tasty. Cappuccino was yummy. Music was killer. All in all a positive experience. As always, a class act. No hipster pretense. Just a REALLY good meal (steak), a cool atmosphere, a great bar, and delightful servers. If Don Draper lived in Seattle, this would be his hang out. Vito's is Seattle history. Friendly dinner crowd and then around 9:00 the place begins to grow with excitement as musicians begin to set up for a fun, no cover (ever) performance! Excellent! I loved it! Great food!! Great atmosphere!! A great traditional restaurant jazz music venue. Friendly staff. Loved the atmosphere, and the food was great. Loved our server too, he was attentive without going overboard. Only drawback was the noise level. We had to shout at each other to be heard. But otherwise a fun experience. OK food and everything else is average. The place is too dark. We couldn't even read the menu. The music was fantastic and the service was excellent. We had a great dinner and enjoyed sharing with our friends! Amaze-balls! Great night, great service, great food and my date is amazing ;) Thanks! Outstanding service Excellent Italian pasta. Live music was great. The pianist played nice jazz and other favorites. Been on the hit-list for a long time. Will now be a regular! Decent food, waitress forgot a lot of things and seemed kind of out of it. Live piano was charming, but when the band came in it seemed a little much for the space.